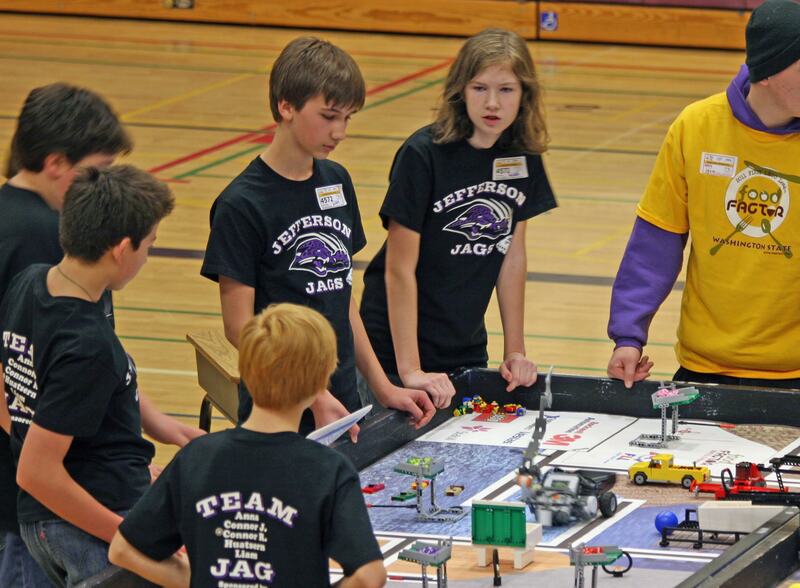 The Olympia School District’s FIRST LEGO League (FLL) teams all had very impressive performances at the inaugural Intel Olympia FLL Regional Qualifier on December 3, at Jefferson Middle School. 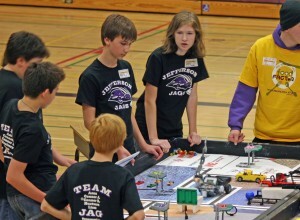 Team Jag, from Jefferson Middle School, won the Strategy & Innovation Award and earned the right to advance to the FLL State Championships on January 15, 2012. Two teams from Marshall Middle School also won awards. The all-girls Legit Lego Ladies placed 4th (out of 20 participants) on the Robot Game competition, and won the prestigious Teamwork Award. The all-boys Moosen team won the Judges Award in recognition of the team’s fine performance throughout the entire day. A huge THANK YOU goes out to all our STEM Pals FLL volunteers, who signed up, and got their training, just days ahead of the event. 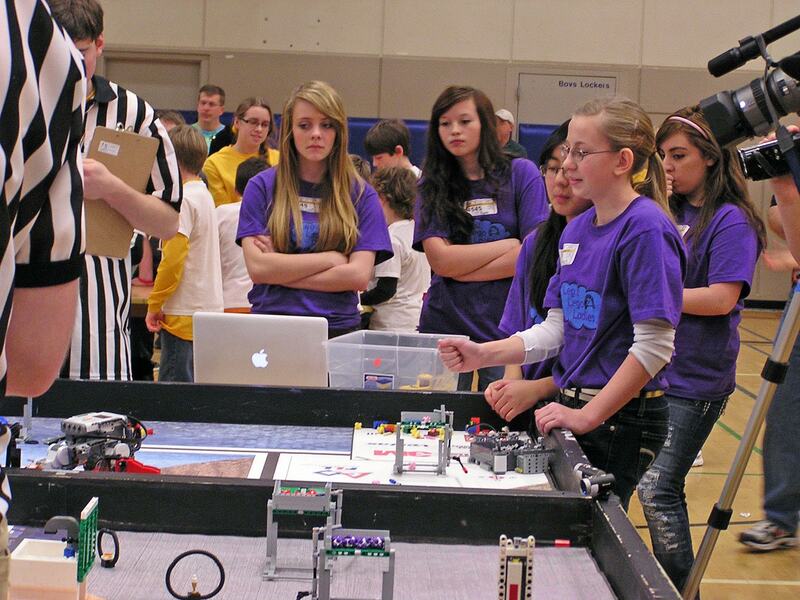 Their dedication and commitment to our students made the first annual Intel Olympia FIRST LEGO League Regional Qualifier a tremendous success.